Redirect your central email addresses to CRM to maintain quality customer management. 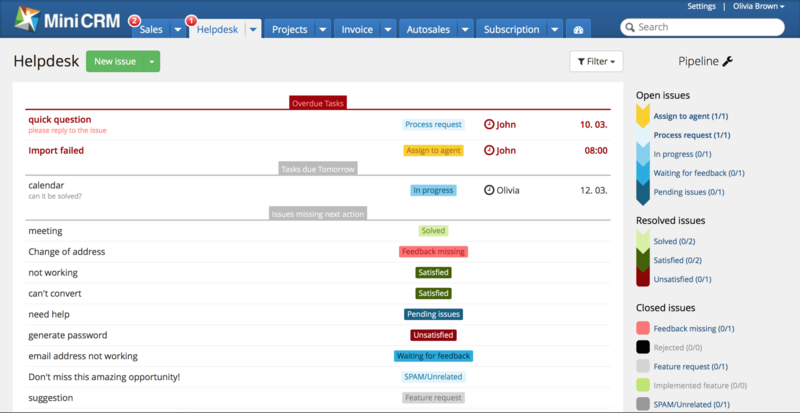 Manage sales and helpdesk in one system so your co-workers have access to data they need for work. Tickets managed in MiniCRM won’t be forgotten and you can always track the process even if takes longer to solve the issue. Let your customers submit their issues on a channel they prefer. Redirect a central email address (e.g. info@ or sales@), insert a form into your website or integrate your helpdesk with your unique system. You will get a notification about new tickets so you may start a follow-up sequence and assign tasks. 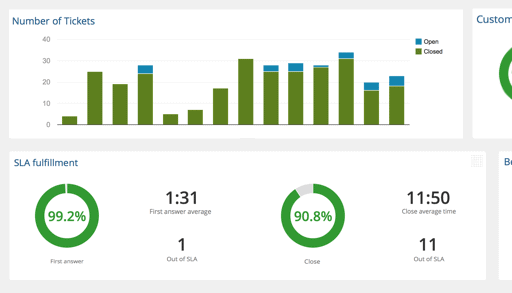 Measure how customers evaluate the work of your helpdesk. 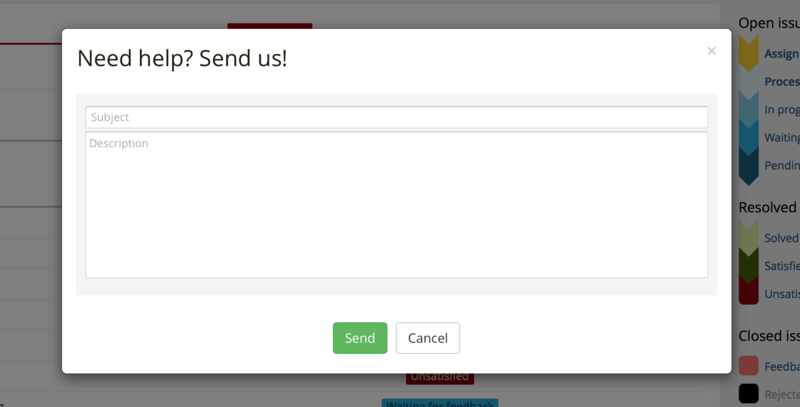 Collect feedback automatically. Check the availability of your helpdesk in reports (SLA).